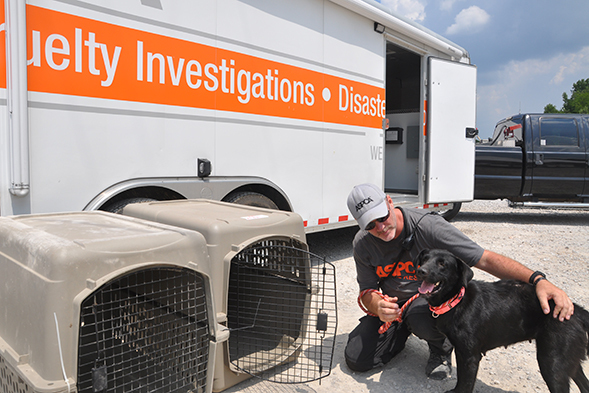 ASPCA Transports Remaining Alabama Rescues to 10 States Across U.S. Following a successful two-day adoption event, which drew more than 900 people and found homes for more than 200 animals, the ASPCA is transporting the remaining animals rescued in late June from Lawrence County Animal Shelter in Moulton, Alabama, to various animal welfare agencies in 10 states across the country. The shelters and rescue groups listed above will care for the animals until they are ready to be made available for adoption. Additionally, some of the dogs who require behavioral rehabilitation for severe fear and undersocialization will be transported to the ASPCA Behavioral Rehabilitation Center in Madison, New Jersey, where animal behavior experts will provide treatment to help them become suitable for adoption.